L’ésam Caen/Cherbourg is a partner of the Art Camp summer school, organized by ESAD Orléans for international students who are entering western French art schools in 2019. From August 26th to Septembre 8th, participants will follow an internsive program of French courses, workshops and cultural visits in Orléans. Deadline for application: May 30th - Registration: 600€. Ésam Caen/Cherbourg and Bubahof collective (located in Prague) launch their 2019 call for an artistic residency intended for a graduate of ésam (Master degree obtained in 2017, 2018 or 2019). 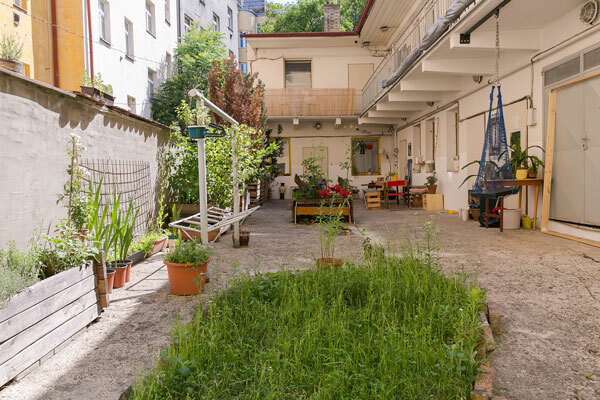 From July to September 2019, the artist will be offered accommodation in Bubahof, a 40 square meters studio in MeetFactory Art Center, a final show at Prague French Institute gallery and a 1000€ production grant from ésam Caen/Cherbourg. After Papanache Camembert shown in December 2018 in the school’s gallery, Camembert Papanache will be open from May 7th to June 10th, 2019 in Spatiu Intact Art Center (Cluj-Napoca, Romania). This double show is curated by artists and professors Florin Ștefan and Benjamin Hochart in the frame of the French Institute’s saison France-Roumanie. It gathers the works of five graduates of ésam Caen/Cherbourg (Louise Aleksiejew, Thomas Auriol, Leticia Martínez Pérez, Antoine Medes, Léa Tesson) and five graduates of the University of Art and Design Cluj-Napoca (Mircea But, Andrei Ispas, SJ Revo Kim, Cristian Opriș, Lucian Popăilă). It is supported by the French Institute and the Normandy Regional Council. From April 27th to May 4th, 2019, Le Dôme Fablab will welcome the Grand Atelier workshop with 10 students from ésam Caen/Cherbourg and 10 students from the Artscience Interfaculty The Hague (Netherlands). The results of the workshop will be shown to the public on May 4th from 8:00 to 10:00pm. Participants will be supervised by David Dronet, Nicolas Germain, Kasper Van Der Horst and Robert Pravda.